What if you could help raise awareness of autism and receive a free, professional photo portrait of yourself or a loved one at the same time? That’s the opportunity offered by Stories of Autism, a national project with the mission of raising awareness, acceptance, and inclusion of people with autism spectrum disorders. They accomplish this mission by creating fine art portraits of adults and children with autism spectrum disorders. The portraits are accompanied by a short narrative from the subjects or their guardians describing what life with an ASD is like. To date, over 200 professional photographers from around the United States and Canada have contributed more than 400 portraits to the project. These have been viewed by hundreds of thousands via online galleries and live exhibitions. All of this work is voluntary and absolutely no money exchanges hand in any part of the program. 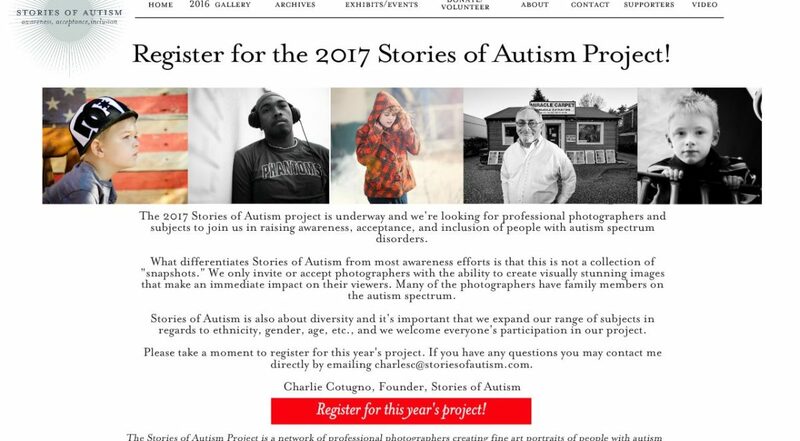 Stories of Autism has a professional photographer located in Charleston who has volunteered their time and talents for the project. Time is of the essence; so register today; Stories of Autism’s online galleries are published every year on World Autism Awareness Day (April 2), so they need to have all portraits and stories submitted by March 15 at the latest. 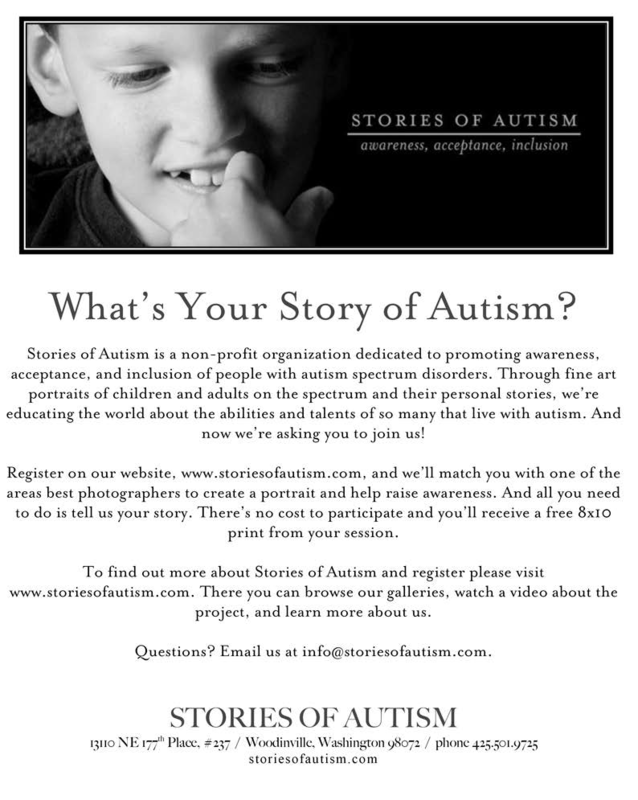 Visit the Stories of Autism website to sign up, and email info@storiesofautism.com with any questions not covered in the FAQs below.